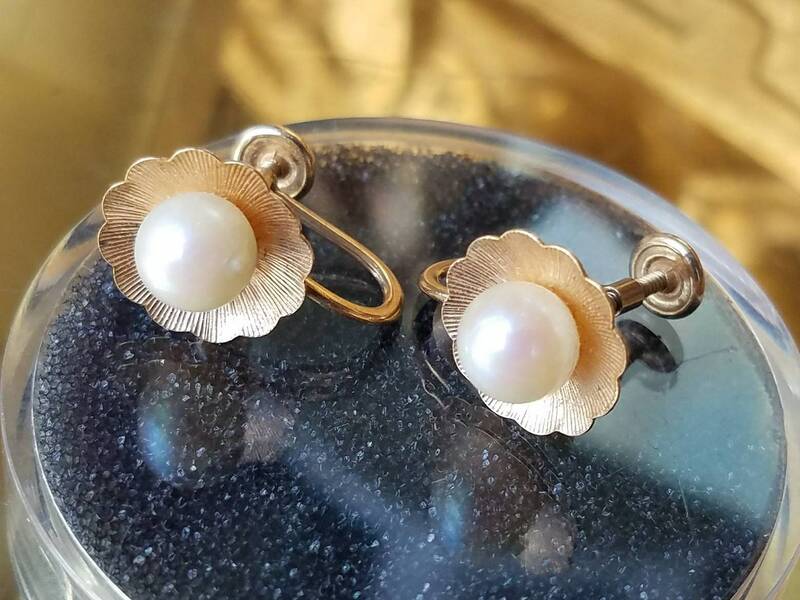 These vintage earrings are 14K yellow gold, and feature a central cultured pearl in each. 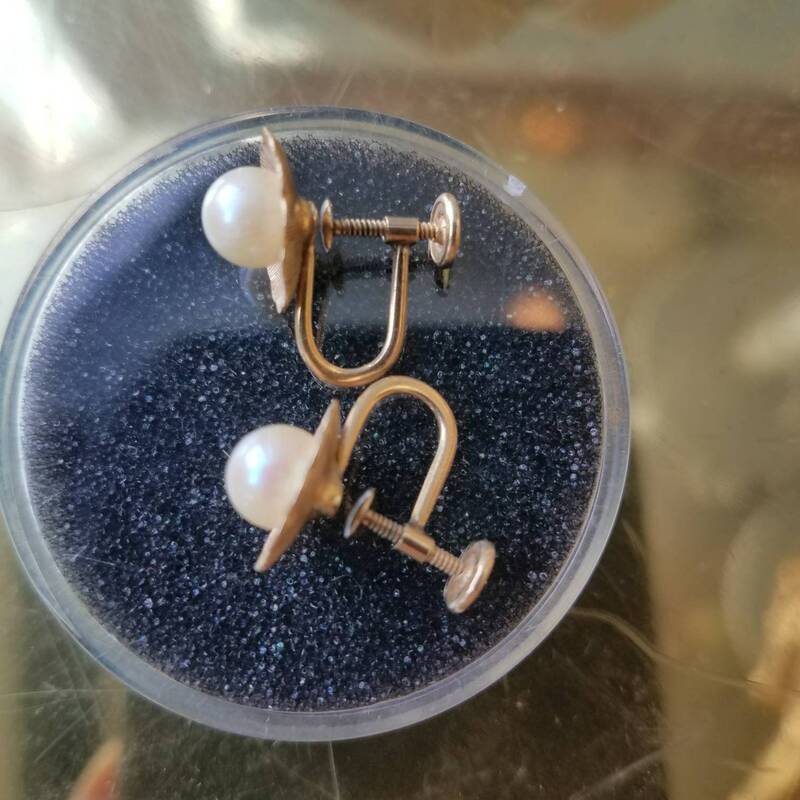 The backs are screwbacks and are in perfect working condition. 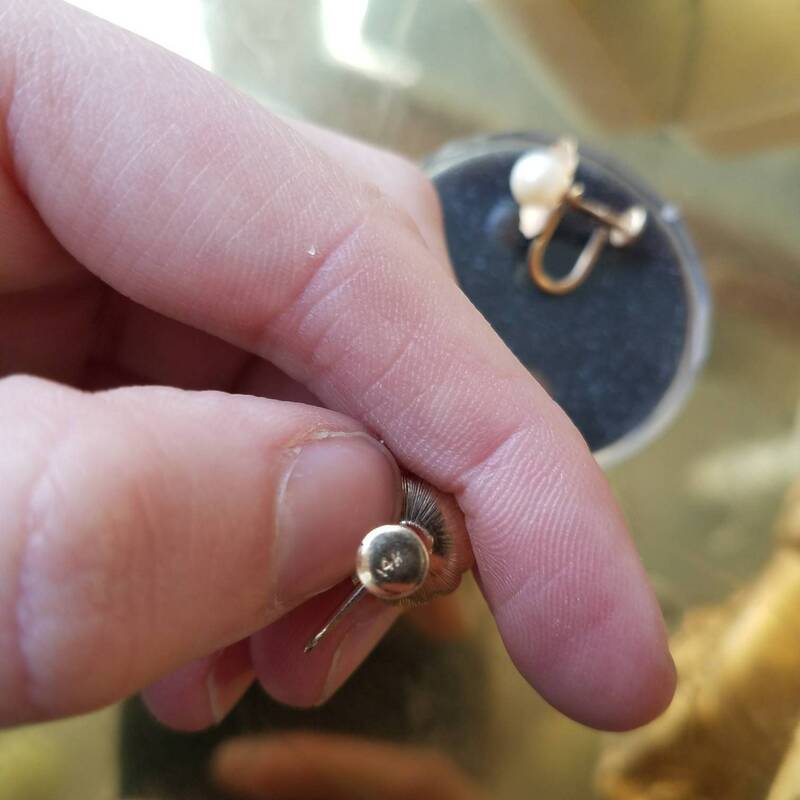 The total measurement of the central elements is 11mm by 11mm.